Come join us for defensive dog handling workshop hosted by Enlighten Dogs and K9 Parent Training. WHAT WOULD YOU DO IF YOU or YOUR DOG WAS BEING ATTACKED BY A DOG? This workshop will give you the tools and skills to keep you safe in a dog fight or dog attack. Working with dogs can be dangerous. What to do when out walking or dealing with multiple dogs in a dog fight or dog bite. Come learn how to be safe around intense situations with dogs. This 2 + hour interactive workshop will give you more insight on keeping you and your staff safer when dealing with aggressive and fearful dogs. Great for any pet owner or people who work with dogs including: Groomers, Veterinarians, vet assistants, dog boarding facility attendants, shelter staff/ volunteers, owners of challenging dogs or dog enthusiasts of all types. Dog pet owners are more than welcome !! Learn defensive dog handling skills how to break up fights and dog attacks. Learn how read common dog body language. The psychology behind why dogs fight and how to properly and safely break it up and avoid a bite!! Workshop taught by Chris Ashton of EnlightenDogs & Manny Guerra of K9PT. Chris has , 10 years of experience including Dog Trainer & Animal Behavioralist, Volunteer Ranger for Redlands Police Department assisting Animal Control in the field. Specializing in aggression and fearful cases. He has learned to handle dogs around many different animals While also running his Ranch in Cherry Valley. Chris is a professional member of the APDT and IAABC, as well as mentor trainer for Animal Behavior College. Active member of San Bernardino County Animal Cruelty Task Force. CPR & First Aid instructor for pets. Special guest speaker Manny Guerra of K9PT Specializing in troubleshooting common household behavior problems and modifying reactive behaviors, he brings to the table extensive experience in training dogs from his years of service with the Palm Springs Animal Shelter and position as the PSAS Training and Behavioral Specialist. There he headed the Training and Enrichment Department and oversaw staff and volunteer dog team programs. Dealing with many behavior dogs. He now travels periodically to North Central Florida to train dogs at an Advanced Behavioral Training Center, the National Canine Center, operated by Dogs Playing For Life. At low-cost $30, space limited so sign up soon on website. Must be 18 or older. This can be life saving information so please share our event! 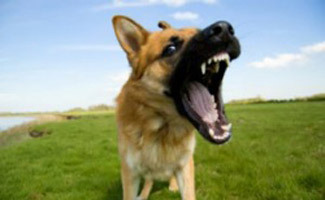 WHAT WOULD YOU DO IF DOG ATTACKED YOU or YOUR ANIMAL? ?